We have set out to make Amber House the home-from-home that will turn every one of your visits into a happy memory. View pictures of Amber House Bed & Breakfast. This spacious Victorian family house on the seafront has been completely refurbished, retaining the period style of the spacious, well-proportioned interior while placing the emphasis on up-to-date comforts. Amber house is five minutes walk from the lovely town of Southwold with its pubs, restaurants, cafes, art galleries and shops. 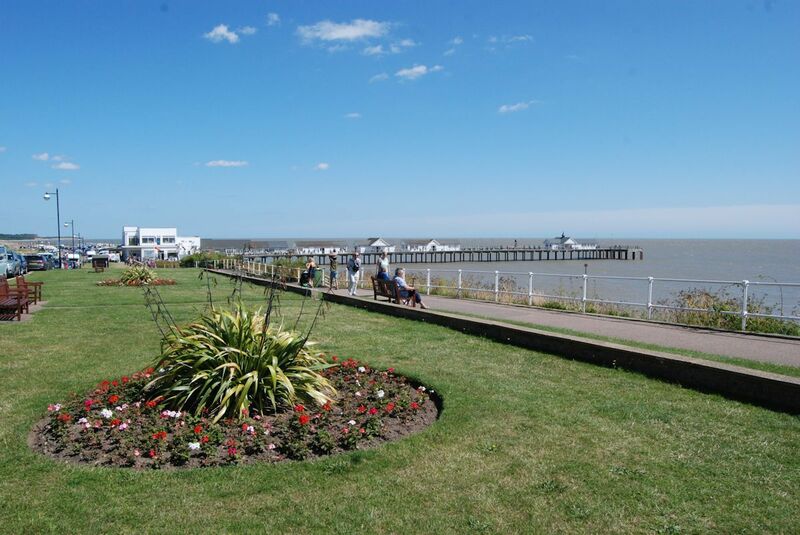 We are also two minutes walk in the other direction from the World Famous Pier. Minesmere bird reserve is a short drive away and there are lovely walks throughout the whole area, Southwold golf club is also a 5 minute car ride away. We have personally designed and furnished our guest rooms, giving each its own distinctive style. All are en-suite with central heating, colour television and tea-making facilities. Three have magnificent sea views including our superb, well appointed triple room whose generous bay window affords a breathtaking panorama across the whole of Sole Bay. Spacious Deluxe Room with double bed and a single, lots of room, sofa, armchair and superb views of the beach, pier and sea. Double seaview room with bath and shower £100 per night. Amber House is right on the sea front in Southwold with superb views over the beach and pier. The spacious lounge and dining rooms at Amber House are well equipped. 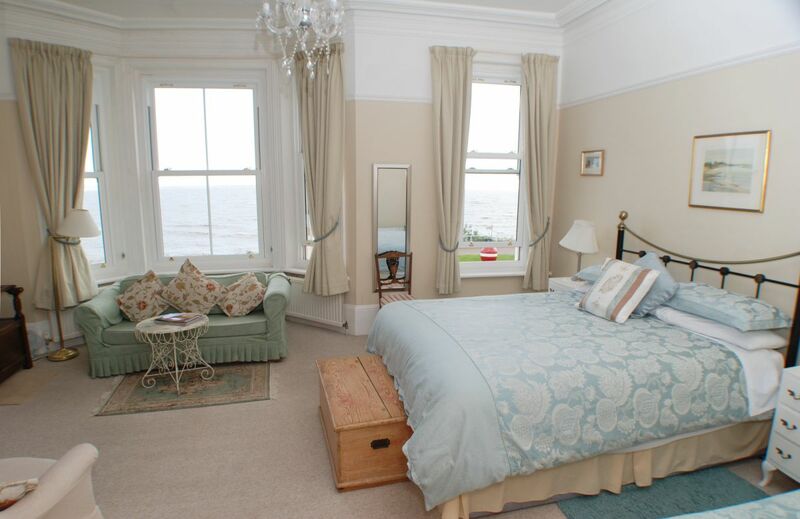 The huge Deluxe Room on the first floor has terrific sea views from the bay window. 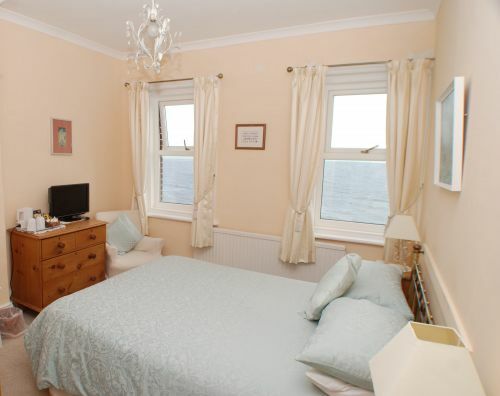 The second floor Double Bedroom is compact but is beautifully furnished and has gorgeous views over the beach and sea. This is the view from over the road, just outside the front door of Amber House!